TestRocker is the culmination of inspiration and experience of 2 sisters and their mother. Suniti Mathur has prepared over 1200 students across the world for the SAT and ACT tests including her daughters. Her 14 years of experience has given her a deep understanding of what works with students of all proficiencies. Sonali Mathur, CEO of TestRocker, started her career in JPMorgan’s investment banking practice followed by executing a human resources strategy for JPMorgan’s operating board. Most recently, she led strategy and FP&A for TheLadders.com. She graduated from University of Notre Dame and holds an MBA from Harvard Business School. Urvashi Mathur, COO, Urvashi previously worked at Ogilvy & Mather as an advertising account executive. Her time in advertising was spent managing client operations as well as coordinating the creation, production and release of print, digital and television campaigns for various clients. Urvashi is a proud graduate of University of Notre Dame, with a BA in Management. TestRocker is a global start up launched with operations in New York and Singapore, focused on delivering a comprehensive online education platform for standardized test preparation. TestRocker takes a modular approach to interactive learning based on a product offering that is tried & tested, incorporates a thoughtful user experience, is web optimized, and teaches to the test. Students follow a customized study plan and can track their progress as they work through the program. Each of the 1,200 questions on TestRocker are accompanied by video explanations from Suniti. TestRocker will be launching their ACT program in September 2013. TestRocker is the ‘Ultimate Private Tutor’ because it combines one of the best private tutors with the best technology has to offer leading to efficient learning. Within a year of launch TestRocker has students from the U.S., U.K, Singapore, Thailand, Malaysia, Philippines, Spain, Cambodia and India on its platform. BusinessInterviews.com: Can you share your story of how you came up with the concept for TestRocker to help your mother realize her dream? Urvashi & Sonali: Our mom was one of the most highly sought-after private tutors for the SAT and ACT. She became so successful that despite moving across the world for our dad’s job, her students insisted on continuing tutoring sessions through video-chat. Suniti told us that her dream was to reach millions of students across the world and be a part of their journey to college. Excited by the idea to help our mother realize her dream, we began the process with a beta test with students to ensure that Suniti’s magic could be translated into the online space. Although we had expected scores to increase, we didn’t foresee the magnitude of the score increases. Math scores improved by an average of 25% while average time taken decreased by 21%. English scores improved by an average of 38% while average time taken decreased by 35%. The beta testers (including High School counselors) inspired the design and functionality of the site, and we launched with paying customers from day 1 itself. BusinessInterviews.com: Startups typically need to pivot and evolve their business model over time, especially as customers start to use the product. Can you provide some advice or lessons learned to entrepreneurs on pivoting while keeping your business moving forward at the same time? Urvashi & Sonali: The key to evolving your business in the right direction is by making sure the key decision makers are keeping in touch with the customers with relative frequency. For example, even though Sonali is the CEO, she dedicates at least ten percent of her time selling and talking directly to our customers. She even takes some of our customer service calls! By keeping in touch with your customers you can make sure you are pivoting in the right direction based on experience instead of second hand information. BusinessInterviews.com: Can you elaborate on why you call TestRocker, “the ultimate online private tutor experience?” What separates you from the competition? Urvashi & Sonali: TestRocker is the ‘Ultimate Private Tutor’ because it combines one of the best private tutors with the best technology has to offer leading to efficient learning. After a one-time payment, students will begin by taking a diagnostic test to assess their strengths and weaknesses and gain access to a customized study plan, which they can follow to study smarter not longer. The customized study plan takes the guessing out of where to start and how much to study. TestRocker’s SAT program consists of over 1,200 questions with Suniti’s video explanations. The course caters to students at all levels of proficiencies by breaking out the questions into easy, medium,and hard. Additionally, Suniti has chosen question types that are frequently seen on the SAT and demonstrates how to tackle them in under a minute. Her explanations show students how to solve the problem using the most “test effective” strategies rather than simply showing what the right answer is. BusinessInterviews.com: What advice would you give to someone contemplating launching a business with their sibling or parent? Urvashi & Sonali: You should only go into business with a sibling, parent or even a friend, if you all have distinct skills that will be beneficial to the business in the short term and the long run. It is also important that one of you have deep expertise in the industry you are entering. For us that person was our mother – she has been in the test prep private tutoring market for well over a decade and had existing student, parent and schools relationships we could leverage. Once you go into business be respectful by not stepping into your co-founders’ domains. Have faith that your sibling, parent or friend has developed her skills through years of practice and she will make the right call. BusinessInterviews.com: What are some trends in online tutoring and education that you’re excited about? Urvashi & Sonali: Online education is letting students access top educators from around the world. No longer does it matter where you are located – rural, urban, US or International. The playing field has been leveled. We also like that students are now able to better manage their time. For instance, TestRocker students normally log in after dinner. They spend their prime evening hours participating in sports, doing homework and spending time with their family instead of driving to a tutoring center. This is how it should be! BusinessInterviews.com: How do you plan to keep the momentum going? 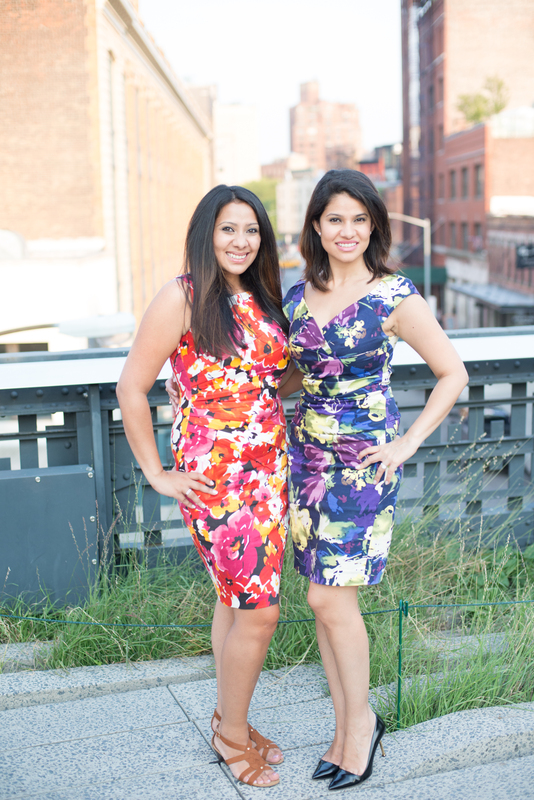 Urvashi & Sonali: We are expanding! We are launching our next product, the TestRocker ACT program, on September 17th, 2013!